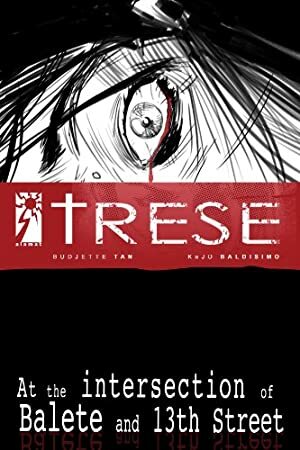 Trese is an interesting occultist noir detective story set in Manila. 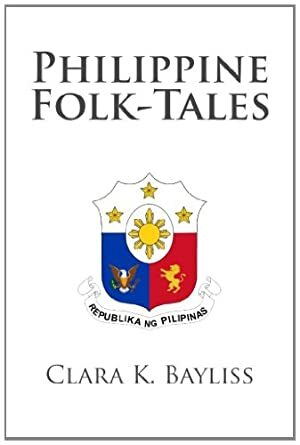 It uses real Filipino folktales, mythology, urban legends and locations. A few characters even strongly resemble real people. 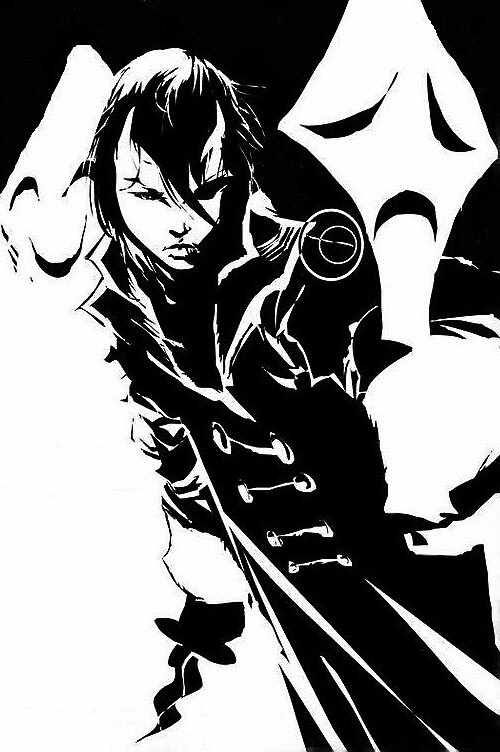 Trese has quickly gained popularity and influence in the Filipino comic book and literary scene. The latest installment is #3 on the local bestseller list (according to National Bookstore), and the third installment won the National Book Award for Best Graphic Literature. Other Aliases: The Trese, Little Trese, The Sixth Child, The Mandirigmang-Babaylan (Warrior-Shaman). 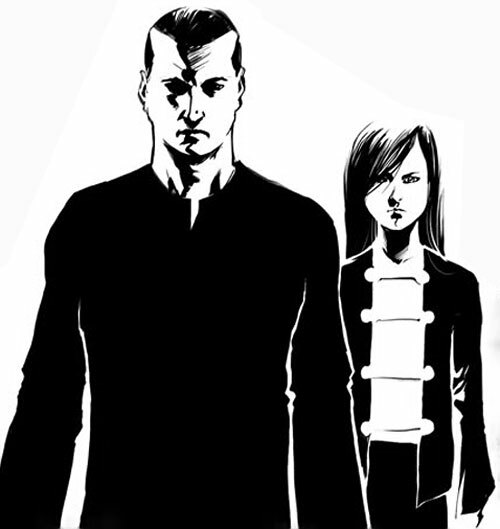 Known Relatives: Anton Trese (father, deceased); Miranda Trese (mother, apparently deceased); Carlito, Enrique, Jimmy, and Matthew (all elder brothers); twin sister (deceased, her soul was used to create Sinag); Alexander Trese (Lolo/Grandfather). Trese is a guardian of the paths between worlds. Prophesied before birth and raised by prominent occultist/detective Anton Trese to be his replacement; she can be considered the premiere expert on all occult matters in the Philippines (possibly even all of SE Asia), and especially the mystical creatures that live there. Her power is that of the Mandirigmang-Babaylan (Warrior-Shaman) and her martial skills rival her mystical abilities, especially when it comes to wielding The Sinag. Due to her education by her father and grandfather, a professor of antiquities, she is a master ritualist and has learned quite a few esoteric secrets. Her bedtime stories as a child were literally told by the legendary creatures that experienced them first hand. After undergoing the Trial of the Great Balete tree, she was given even more secret knowledge unknown even to her father. Sinag was forged into a kris (called a kalis in the southern Philippines). This is a dagger usually associated with mystical rituals, especially those associated with bloodletting, and is also a symbol of authority. Trese uses the Sinag as a focus in much of her magical rituals. 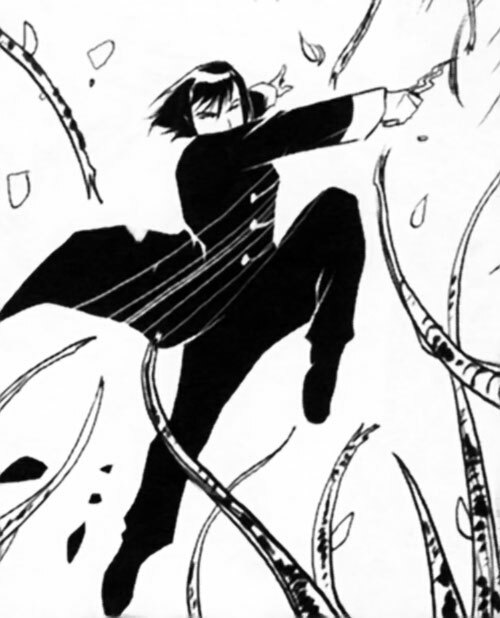 She is always aware of its location even when it’s away from her (or she throws it into the flesh of an opponent). She can always feel the presence of her twin’s soul. On the day of Trese’s birth, the blind weaver of Basilan (home of a tribe said to be the finest weavers in the Philippines) began work on a cloak as dark as shadow. She wove dark patterns onto the black fabric, creating invisible words of protection. This mystic cloak was presented to Trese upon her baptism. This magical cloak not only keeps Trese safe, but also fashionable. It can become virtually any sort of long coat. When Trese was young, this most often took the form of a hooded cloak. Occasionally, it looks like a trenchcoat, leather jacket or even a long dress. But most commonly, it takes the form of a Chinese long coat with a high collar and white frogs clasping the front. 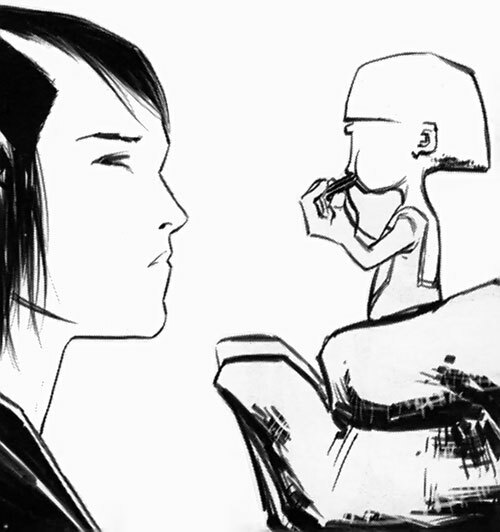 Trese was given other artifacts upon her baptism, but has yet to use them in the comic. Perhaps they were used and/or lost within The Great Balete tree. For more details, see below in the “Trese’s Birth and Baptism” section of her history. 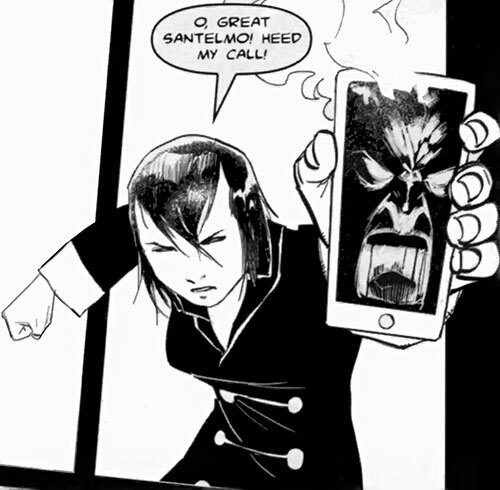 By dialing the exact date of the Great Binondo Fire of the 1950s on her cell phone, Trese can summon the fire elemental at the center of the blaze, Santelmo. Santelmo is an elder and highly intelligent spirit of fire. He is a special elemental and should be considered an expert on fire and related subjects. When not needed for martial force, Santelmo often likes to tell stories about his own adventures with other supernatural creatures. In fact he was the one who told Trese stories before she went to bed at night as a child. In combat, Santelmo can in turn summon lesser elementals for use as a fire blast attack. Trese has been known to summon some of these lesser elementals without the cell phone using just a fire source. 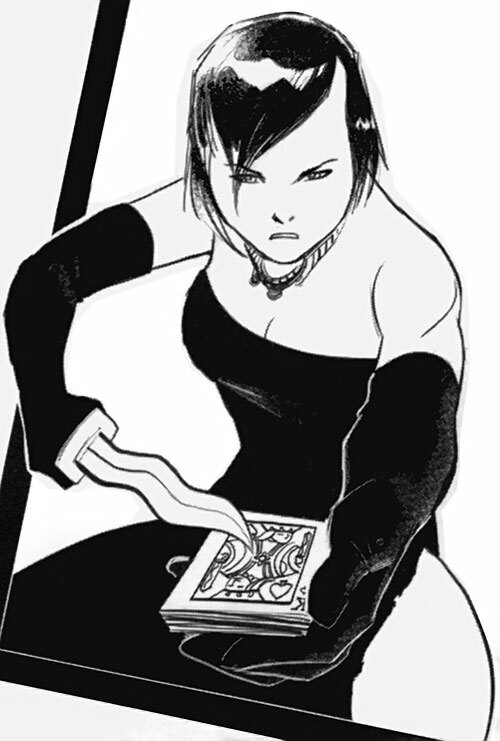 Trese must successfully slap a wristwatch onto her target and speak the command word, “Tigil,” to use this ritual. Upon successfully attaching the watch on her target, the victim will freeze in place until the spell wears off. To use this Trese needs a symbol that the masses associate with health. Trese uses the logo from a Mercuro (Mercury) Drugstore bag. Many people have looked on this symbol as they purchased medicine to make themselves and their loved ones well. There is now mystical power in the symbol. Trese has learned the esoteric manner in which to tap this energy to work the spell. She places the symbol on the person to be healed and touches it with the Sinag to call forth its power. This allows Trese to get a picture of anything someone else has seen, presuming she can get their eyeball (regardless of whether the person is still alive or not). 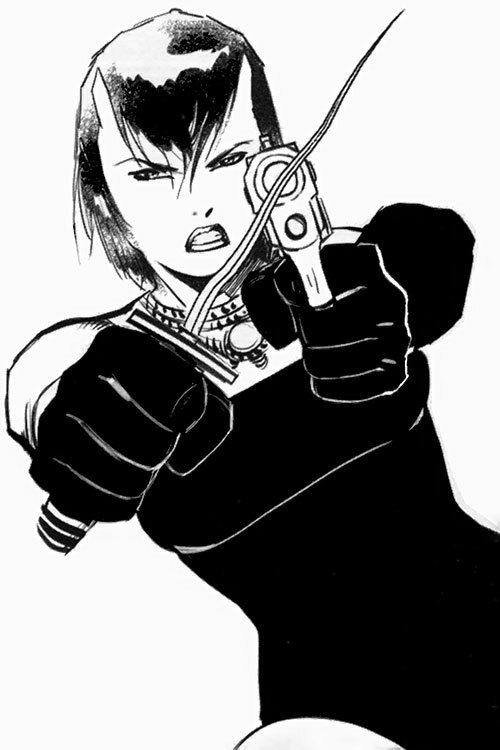 She pierces the eye with her dagger and places it in the glass of water. As the vitreous humor leaks out, an image appears in the water showing her what she is looking for. She can then spill the inky liquid over a dinner napkin or handkerchief. This transfers the image to the handkerchief. The police have photocopied such an image on at least one occasion for distribution. She uses this primarily to get an image of suspects if someone who has seen them proves uncooperative or has died (or both). This ritual is used to bring a spirit to talk with Trese. 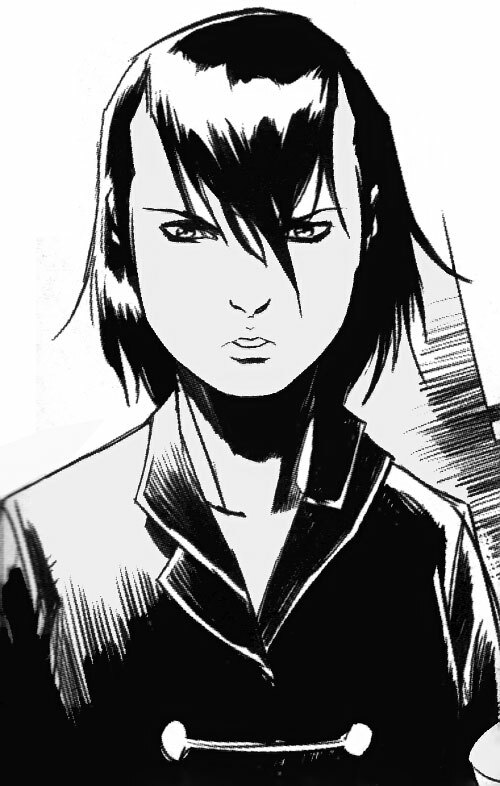 Trese must take blood from the physical body (or remains) whose spirit she wants to contact. She mixes the wax from the candle with the blood and allows the mixture to fall into the basin. The spirit animates the wax until the candle burns out, which happens unusually quickly. In addition to speaking with the ghosts of the dead, Trese has been able to summon other spirits with this ritual. It has been shown being used with magical creatures (non-human), as well as a living semi-catatonic mute in an asylum. She even used a variant of this ritual to recombine lost souls with their physical bodies. This opens a “Dragon’s Gate”, allowing travel through it. If one is not already naturally a dragon, they must drink dragon’s blood to move through the Dragon’s Gate. Trese usually uses chalk is to draw the appropriate circle and sigil to define the gate, though computer cables were shown to be used once to outline the circle. This will instantaneously take you to another such spot in the city, travelling along Ley Lines . For unrevealed reasons, Trese’s blood counted as dragon’s blood for this purpose in one battle. This may have something to do with her trials in the Balete tree or may have somehow been arranged through her Chinese dragon allies. This ritual pays homage to a popular action star, Lito Lapid . He is known for several outrageous feats, including splitting his bullet with a knife to take down multiple opponents with one bullet. Trese splits her bullet with The Sinag, and it continues to split until it’s a swarm of small metal wasps. The wasps swarm the opponent like a mass of intelligent bullets fired in autofire. Trese usually uses this to find chinks in opponents’ armor. They can also prove a distraction even to the most powerful of opponents. Trese flips through the deck until she finds a face card and stabs it with the Sinag, speaking magical words. She then animates the cards of that suit into an illusory army. The cards don’t do much damage. But they keep the opponent busy killing cards, freeing Trese for more important actions. 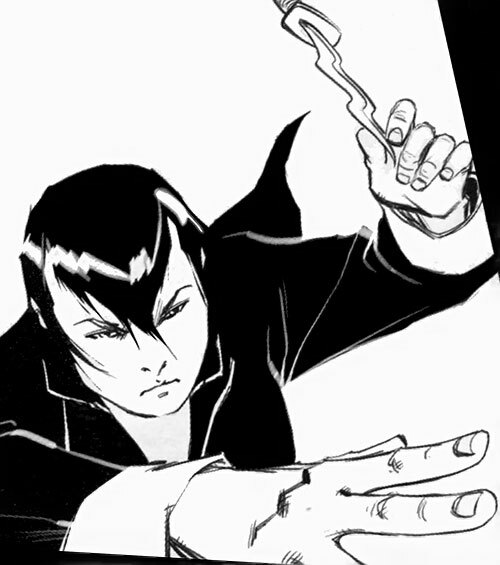 Seven Psychics were discovered by Trese’s grandfather that each had a prophecy about the lineage of Anton Trese. One of the psychics would later fall in love with Anton and become Trese’s mother. She had unknowingly delivered the prophecy of each of her own children. Trese’s first born (Carlito) will become a hunter of the dark and all the vile things that reside within it. His second born (Enrique) will follow in his grandfather’s footsteps and become a teacher of history and antiquities. His third child (Matthew) will become a man of God and battle the demons of Hell. His fourth child (Jimmy) will become a thief. He will go on a quest to find the holy and cursed weapons of old. The sixth one… the sixth child will be a child of paradox and possibilities. The psychics had contradictions in the prophecy of the sixth child. Some foretold that the sixth child of the sixth child will bring about a great age for the Underworld. They wrote of a great darkness where the borders of the Underworld will spill into the Terra Mundo and she would begin a great siege over Skyworld. Others said that the sixth child will seal the Gates of the Underworld banishing all its creatures from the Earth, preventing any and all magic from touching the lives of the people. The one thing they all seemed to agree on was that the sixth child would be the one who tipped the scales of balance. It was said she will take the test of The Mandirigmang-Babaylan the branches of the great tree. And while doing so, the four Aswang tribes will come and try to destroy it to prevent her return to the world of Terro Mundo. The blood of Trese would soak the roots of the great tree. The prophecy has colored Trese’s birth as the varying supernatural creatures believed it might mean a different thing to their tribes. The Mandirigmang-Babaylan is a Warrior-Shaman. Such a thing is rare in Tagalog culture since traditionally, it’s usually men who became warriors and women who became shamans. 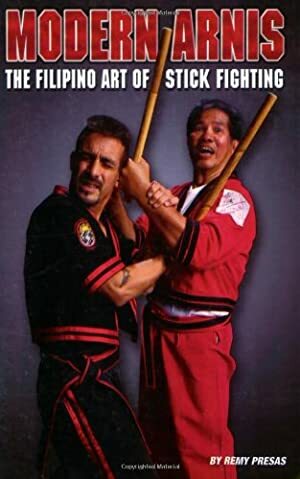 One who could be both and do them well was a very rare and powerful being indeed. The fifth child was Trese’s twin. If she was mentioned in the prophecy, their grandfather had kept it to himself. She died immediately after the twins’ birth and it was their grandfather who arranged for her very soul to be fashioned into The Sinag, calling in favors from magical creatures, human shamans, and the most skilled smith to aid in its creation. Upon Trese’s baptism, she received many gifts from her family and the enchanted creatures of the Underworld. The Sinag and the Cloak of Takipsilim were amongst the first gifts to honor her. But she received many more gifts. The Kapre gave her their best cigars. The Diwata made a song just for her. The Tikbalang presented a bracelet made from the mane of their fastest warrior. The Aswang sacrificed their queen and made her black heart into a dish. The Duwende brought her a diamond that shined even in the darkest cave. She was raised assisting her father on his occult investigations. She learned his trade and how to deal with the varying tribes of Aswang and Encantos. The Duwende, especially, were impressed with her from a very early age. It had become her father’s habit to bring them gifts of chocolate (which they love) when dealing with them. Trese would give them higher quality (foreign) chocolate compared to her father, which convinced them of her good taste. When she was not helping her father with investigations, she spent most of her time reading her grandfather’s books. She quickly mastered many rituals. 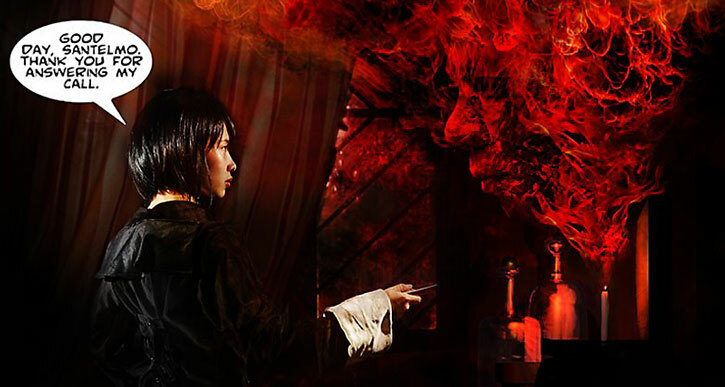 She would hide in her room summoning various spirits such as Santelmo to speak with and to learn even more than her father and grandfather could teach her. While most people are told bedtime stories about magical creatures, she was told bedtime stories by the magical creatures who had lived them. One investigation she helped her father with was the case of Talagbusao. It seems the deity of bloodlust and war had found a way of entering the Terro Mundo by possessing a warrior who had killed all the men at a battle (including his own). It was in this way that Talagbusao had ravaged (perhaps raped) a fierce rebel named Ramona. She gave birth to twins. Talagbusao knew that to remain in this world permanently he would need to consume the heart of his son and absorb his power. When he discovered he had twin sons, The Kambal, he was delighted. He would consume both their hearts and become even more powerful. While Trese and her father managed to save the twins from their father, their mother was apparently killed in the conflict. There was some consideration about what to do with The Kambal. Since they were the children of the Talagbusao, they would possess a bloodlust and a berserker rage that would only grow as they got older. Even as toddlers, they were extremely dangerous. One had single-handedly wiped out an entire pack of lycanthropes when they first met. 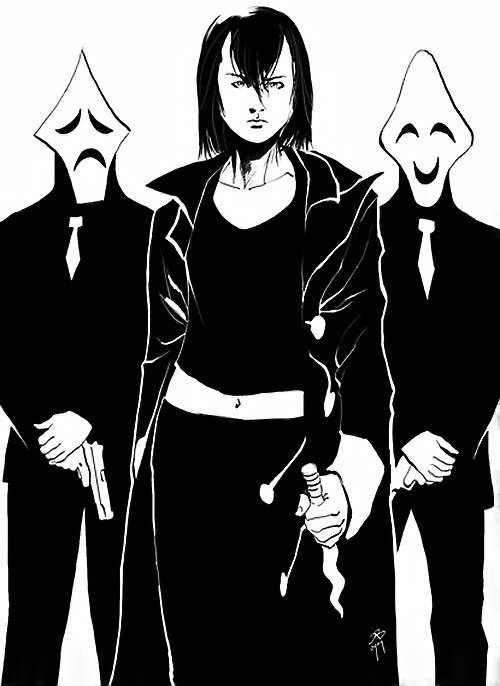 This pack had served as assistants and physical protectors of Anton Trese. It was ultimately decided that the Treses would raise them and use magic to help them control their rage. Ultimately, they would come to take the pack’s place. Anton Trese had kept the Masks of the Theatre of Doom from a previous investigation. It had stemmed from a man who had controlled Aswang using the masks. Anton and Alexandra used a ritual to permanently bond the masks to The Kambal, allowing the twins to control their rage and bloodlust. Whenever they enter battle, the masks manifest. Upon Trese’s 18th birthday, she took the test of The Mandirigmang-Babaylan (Warrior-Shaman). She entered the Great Balate Tree for the ritual trials. Being aware of the timing and the prophecies, Trese’s family gathered their allies to protect the Tree. 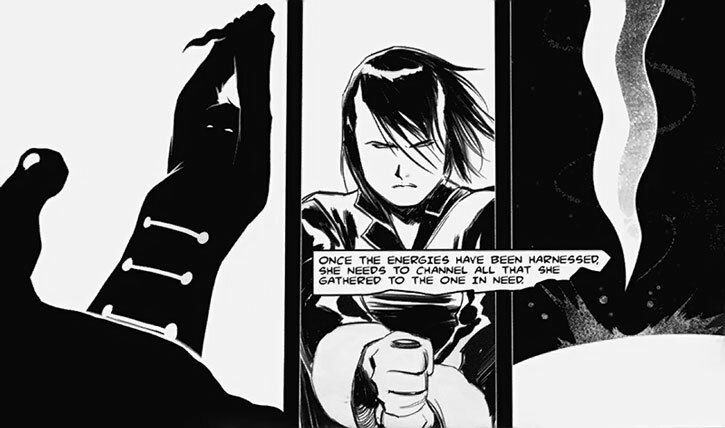 The four tribes of Aswang soon appeared to attack, in an attempt to make sure she would not become a threat. Despite some of the prophecies, they seemed unwilling to place any faith in her being their savior. While in the tree, Trese had to face a challenge from each of the tribes of Encantos. Little is known of what happened while she was on her journey, but she emerged from the tree 3 years later mentioning it felt even longer and having learned secrets hidden even from her father and grandfather. Her grandfather and her brother, Enrique, waited on her return. They told her of the battle the day she entered the great tree. It seems the Aswang weren’t destined to spill her blood at the roots of the tree, but instead the blood of her family. Anton Trese had ordered the Kambal to protect his father (Alexandra’s grandfather). He ultimately sacrificed himself in a ritual that would protect the tree from the Aswang. Thus, he fulfilled the prophecy by soaking the roots of the tree with his own blood. It was also while she was in the tree that the rest of her brothers entered the Underworld on their own quest (possibly helping the Fourth Child fulfill his destiny). Trese decided there was little, if anything, she could do to help her brothers. She turned her attention to the city. She had to learn what had happened in her absence and establish her ties amongst the varying tribes. 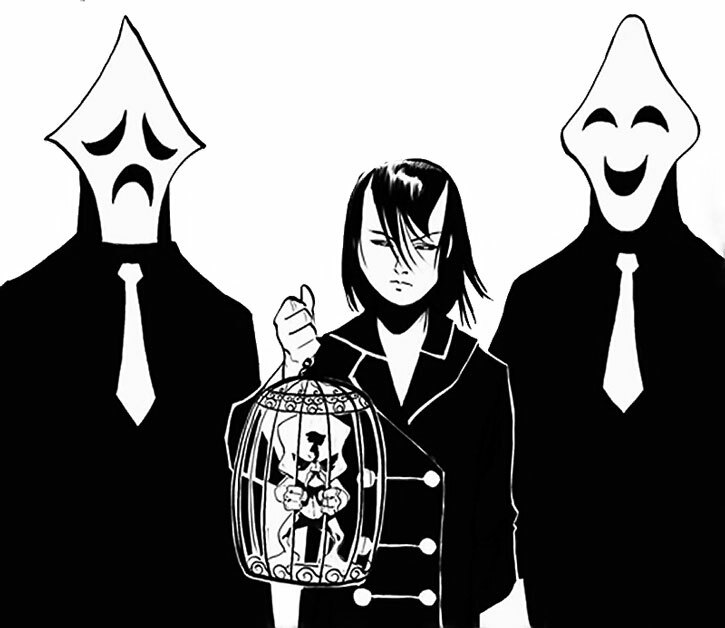 The Kambal became her bodyguards and to this day accompany her practically wherever she goes. She has inherited a great deal of knowledge from her father and grandfather, as well as a restaurant/café called The Diabolical. Considered a neutral ground amongst supernatural entities, she has turned it into a nightclub. She retained the services of bartender and barista Hank Sparrow, who has worked for her family as long as she’s been alive. Captain Guerrero of the police soon began to call upon Alexandra much like his predecessor (who apparently died with her father) had called upon her father. 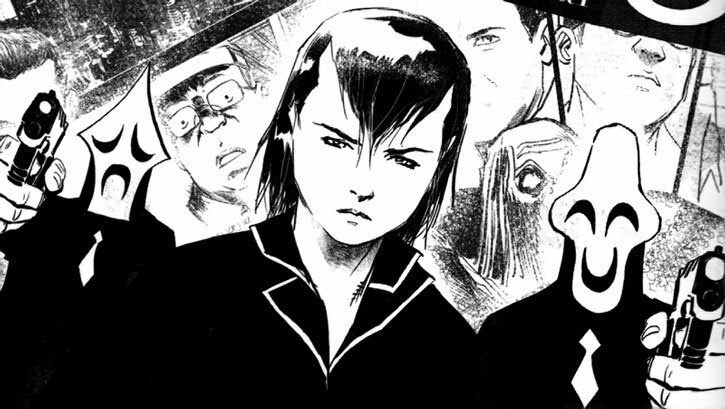 Whenever he encounters something that the police can’t explain, or the only apparent explanation seems to involve old “aswang tales,” he calls Trese. 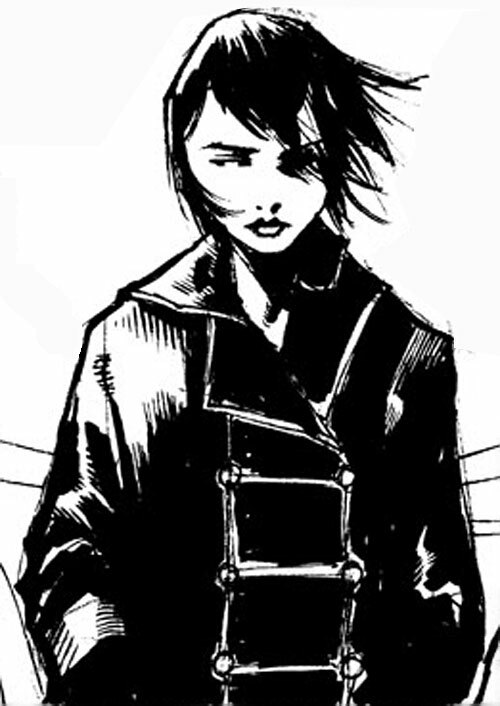 She turns her powers of observation and her knowledge of the occult to protect the people of the city- her city. 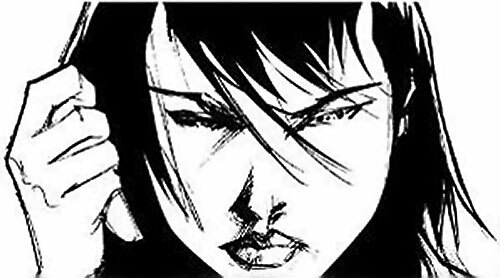 Trese is a small Asian woman with intense eyes usually bearing a hard-set countenance. 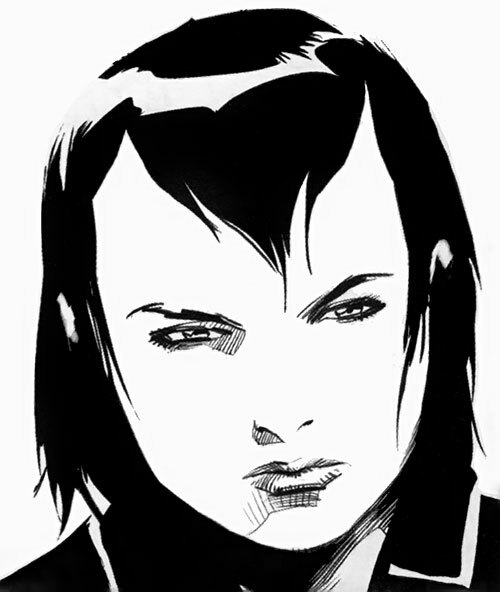 She keeps her chin-length hair in what is referred to as a “devil’s cut,” with long bangs coming to a point on her face. She usually dresses in dark pants and boots with a short-sleeved t-shirt. Naturally, the Cloak of Takipsilim is almost always draping her shoulders, most often in the form of a Chinese longcoat with a high collar and white frogs connecting the front. Trese takes her duty very seriously. She usually bears a cold and distant countenance, especially when on a case. Yet she also tailors her reactions to whomever she’s speaking with. Trese can be incredibly polite and respectful when appropriate. She treats elders (especially supernatural ones) with great old-world courtesy, following every proper form. She can also be quite kind and gentle, especially when consoling someone who has been victimized by something they don’t understand and aren’t equipped to handle. 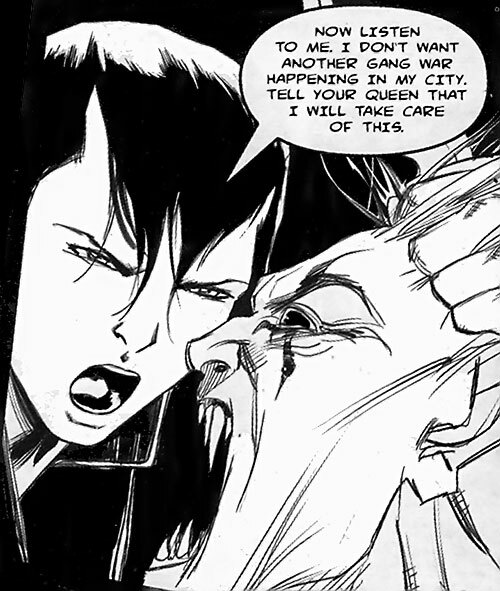 However, with anyone (especially Aswang) who treats her with disrespect, she becomes a ruthless and callous person. Then she’s so terrifying she scares the things that go bump in the night (literally). When she encounters an Aswang that’s not scared of her, she makes sure it doesn’t make the same mistake twice. She can be just as unforgiving as The Underworld to those who don’t mind their manners with her. 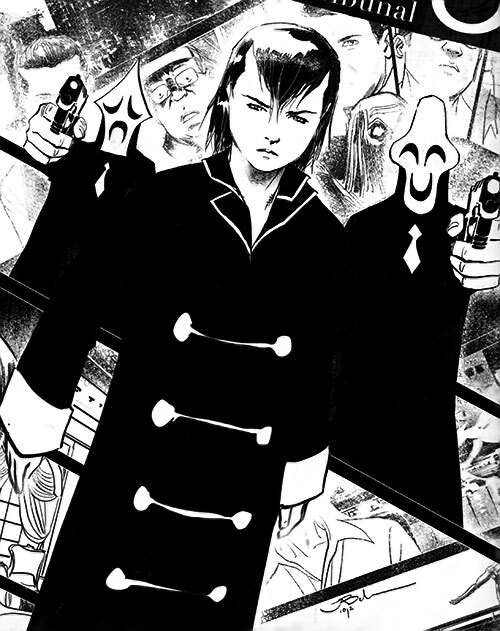 Trese (or someone incredibly similar) almost certainly exists within the Asian corners of the Vertigo-verse. Club Diabolical probably has a similar reputation as The Bewitched nightclub in San Francisco, or The Oblivion Bar in New York, and certainly more than one member of the Mystical Community has visited. Considering the fact that Constantine knows someone just about everywhere, and the fact that he never met a bartender he didn’t like, John has made the acquaintance of Hank Sparrow on at least a few occasions. Any time he has to go through Asia, he tries to stop by. He may have gone girl-hunting with The Kambal or even tried hitting on Trese, though he’d likely get a chilly reception from her (and a more severe reaction if he hit on her while Anton was still alive). 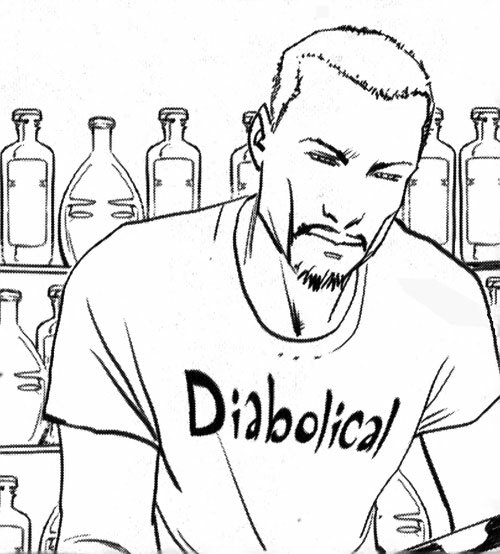 Dr. Occult may have even sought out Trese, in hopes of breaking his and Rose Psychic’s curse. 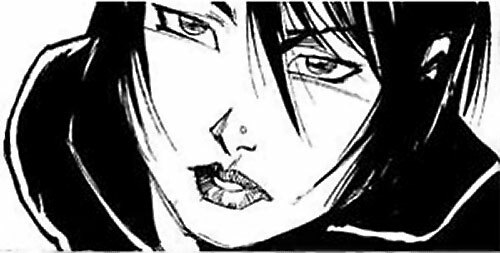 Considering Trese’s status as both the warrior (masculine) and shaman (feminine) within her own cultural role, she might understand the dichotomy of their nature better than most. Perhaps she’d know some way of splitting them apart. It seems likely that her birth would attract the attention of such entities as the Phantom Stranger. In fact, much like Tim Hunter, the prophecies around her may have even called the attention of the entire “Trenchcoat Brigade.” However, her family and their history within the Mystic Community would dissuade any direct interference with her destiny. It would be entirely in character for her father, Anton, to call in some favors with powerful Diwata or a pre-colonial god to counteract any interference with his family even from well-meaning entities like the Stranger. Mister E may have come to Manila seeking out the source of one unholy corruption or another. Whether it’s the brothels he’d seek to destroy, a syokoy who has taken control of shipping and is involved with human trafficking, or the berserker spirits of the Kambal, it was only a matter of time before something would draw him to Manila. Mister E might even seek out Trese as a worthy ally in his quest to purge the world of its evil, or see her as a symbol of that very corruption. However, no matter the reason, Trese would not like him meddling in *her* city- not one bit. 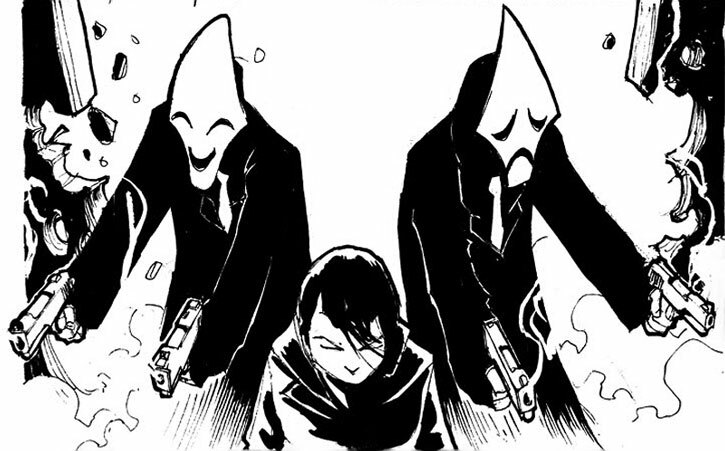 It may have even been one of Trese’s enemies that tipped him off to some corruption that only he could purge knowing fully that Trese would be drawn into the middle of the skirmish. 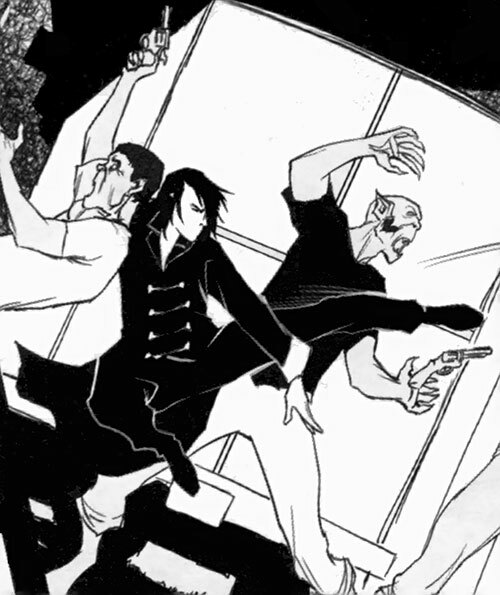 It might also be fun to have Trese and Dr. Thirteen encounter one another on one of his investigations. Dr. Thirteen might have heard a tale of the Aswang and decide to hunt one down and prove that its nothing more than an undocumented species of animal. He could be seeking Carlito to help him hunt one down while Trese was working in the background preventing him from being killed by the more vicious mystic creatures. Trese has also encountered a few interesting “heroes” who were mystically powered similar to Captain Marvel. It might be interesting to see her interact with one of the Rock of Eternity’s champions and have to take the magical lightning away for a while. She would make an interesting contact for Billy to be able consult if Shazam was unavailable or busy. With the new 52, the Rock of Eternity once housed a council of wizards and perhaps one of Trese’s progenitors sat on that council (in the 11th seat). Trese would likely be a candidate for Sorceress Supreme in the Marvel Universe. Her knowledge and potential certainly would seem to attract the greater Marvel entities attempting to influence the world. While she currently doesn’t possess the same power or knowledge of a Dr. Strange, she certainly has that potential. It’s been recently revealed that the Filipino Pantheon exists in the Marvel U. In their version, Anitun Tabu (Anitong Tabo), Goddess of Wind and Rain, actively lends her power to heroes in the Philippines. 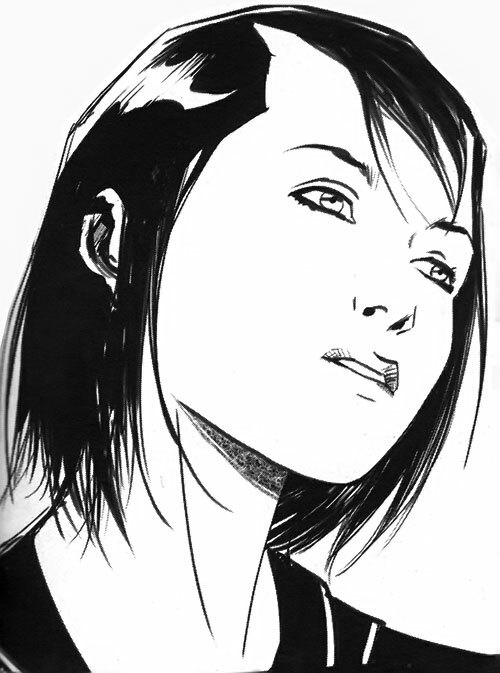 Trese would likely have contact with her champions as a consultant on occult matters and may have even served as an intermediary between them and the gods on occasion. Underworld and Limbo might be somewhat distantly linked realms. 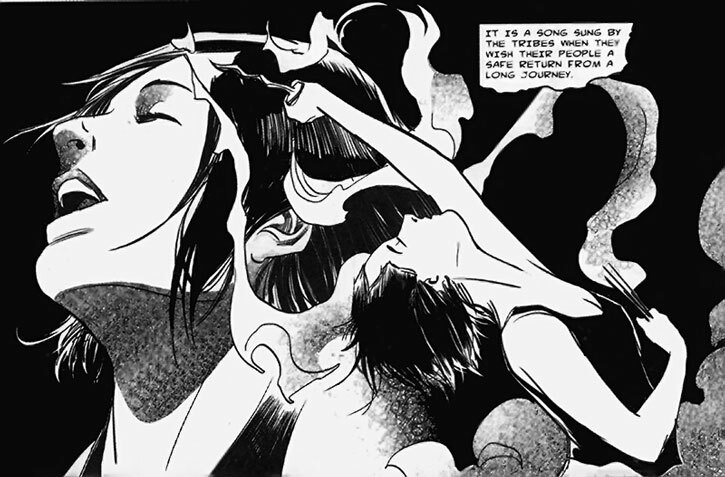 Magik was Sorceress Supreme of Limbo and could manifest her Soul Sword. It’s possible that in Marvel, Trese would be considered (destined to become if not already) Sorceress Supreme of Underworld, and The Sinag could be a similar manifestation as the Soul Sword, as a part of her own soul (especially if you believe twins share a soul). Even if not, it would seem likely that Trese would find interesting common ground with Magik as both are young women who possess an incredible amount of mystical power. Both also bear strong ties to another world where they are respected by some, feared by others and have others who seek to overthrow their authority. 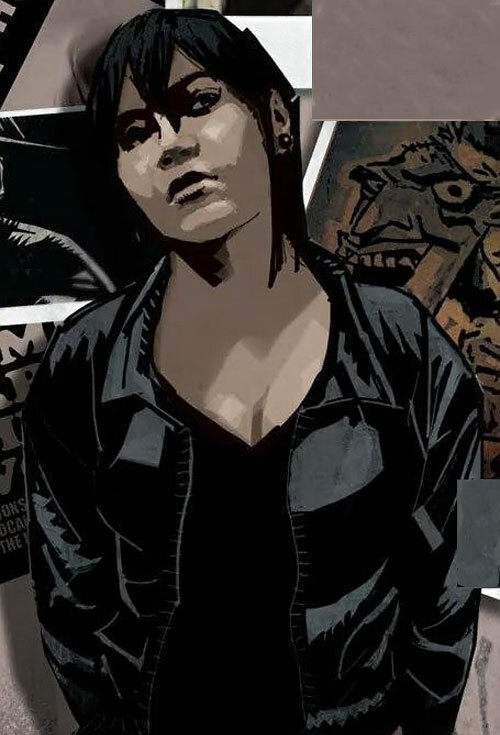 Toss in Zatanna from DC and you might have a cross-world mystical alternate of Birds of Prey, maybe even with the real Oracle of Delphi playing the role of Oracle. For a general campaign, Trese would work well as a knowledgeable contact. If the campaign is placed in the US, the distance might keep her from getting involved directly in the story, but she could be called by the player characters for a consult on strange beasties that might have accidentally (or purposely) been imported from the Philippines. If you want to mix in some “tribal wisdom,” voodoo and/or Asian magic without using typical stereotypes, Trese might also be a good NPC to use since Filipino myth mixes a wide variety of traditions and influences. Area Knowledge (Manila and Underworld), Confidant (Hank Sparrow, her bartender), Credentials (Special – Police Consultant), Headquarters (Expansive- Club Diabolical), Iron Nerves, Language (Filipino -including Tagalog and Visayan, ancient dialects and scripts, English), Leadership, Lightning Reflexes, Ritual Discipline Scholar (Elemental Magic, Symbology), Scholar (Filipino Mythology, Underworld), Sharp Eye, Sidekicks – The Kambal (The Twins — separate write-up). Captain Guerraro of the Pulis (police) Department (High), Jobert – a ghost who haunts the internet (High), Durago and Durranga – a pair of warrior deities now running a video arcade (High), The Great Stallion Armazan of the Tikbalan Tribe (Powerful, High), Maliksi of the Tikbalan Tribe (High), Amang Paso of the Duwende (Powerful, High), Bagyon Lektro Lord of Storms and Electricity (Powerful, Low), Santelmo – Elder Fire Elemental (High), Ernesto – werewolf butcher (Low), Wind People Hannah of the Hagibat Tribe and Ammie of the Amihan Tribe (High), Jeremy Gotianleung and his father – Mall-owning Chinese dragons (Low), Criminal Underworld (Low), Datu Gantes of the Higante Tribe (Low). Enemy (Talagbusao), Enemy (The Madame), Public Identity, Authority Figure (Amongst the mystic community). 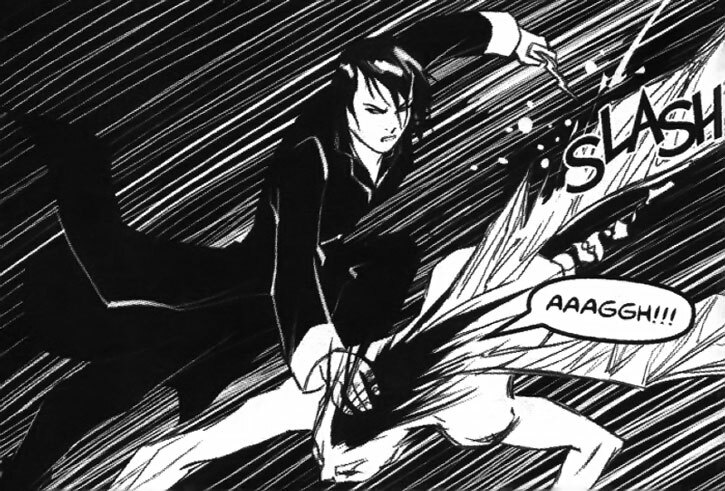 Magic Blast is touch only, uses the wielder’s AV and allows the dagger to affect immaterial entities like ghosts and creatures normally resistant to physical attack as though they were ordinary mortals through their Spirit (instead of Body). Dimensional Storage is limited to the dagger, itself. Detect is usable by Trese even when she’s not in contact with the dagger, she always knows the location of her twin’s soul. Cloak of Takipsilim [/BODY/ 09, Skin Armor: 05, Magic Field: 05, Chameleon: 07] Chameleon only affects the cloak and allows it to transform into any type of coat. Components: A candle or other flame source, and/or a cell phone which must be used to dial the date of the Great Binondo Fire. Comments: If used without the cell phone, will summon normal elementals as per the Flame Animation power; but the cell phone allows Trese to contact Santelmo. When summoning him, Trese can assign APs to Mental Attributes and he is considered to have a Scholar with anything relating to the element of fire. In a pinch, Trese has been known to cast this with no casting time and just her cell phone’s speed dial with the appropriate penalties. This can, however, give her a Blindside bonus if using it as an attack. Components: A wristwatch, vocal component “Tigil” (Stop). Comments: Trese must successfully grapple her target with the watch to use Mystic Freeze. Components: A symbol associated with health. Comments: This will heal damage not normally healable including severe burns. Regeneration will last until the person is fully healed. Components: The eyeball from someone (alive or dead) who has seen what Trese wants to see, a glass of water and optionally a dinner napkin or handkerchief. Comments: Recall is visual and one image only, like a picture from the person’s memory. Components: Blood from the spirit’s physical body, a basin of water, and a candle. Comments: This lasts for the length of time it takes the candle to burn. Components: Dragon’s Blood, chalk (or some other method of creating the circle), a Ley Line. Comments: If one is not already naturally a dragon, they must drink the dragon’s blood to move through the Dragon’s Gate. Ritual may be prepped in advance and then used instantaneously as long as the requirements are satisfied. Components: Handgun, Sinag (or other knife) , Verbal Component “Kuyog” (Horde, or attack by a mob). Comments: Creates a swarm of metal wasps, resembling a fully self guided auto-fire attack. Player can use Sharpness with an Autofire bonus, or Multi-Attack (without the Sharpness or Autofire), but not both. Components: Deck of cards, Sinag (or other ceremonial dagger), Verbal component “Sandatahan” (Armed Forces). Comments: Animate image only works on the cards of one suit. Some of Trese’s stats are speculative since there’s still much about the character that has yet to be revealed. Particularly with her Artifacts, they may have powers that have not been presented yet and those listed are presumed primarily based on descriptions of the items. 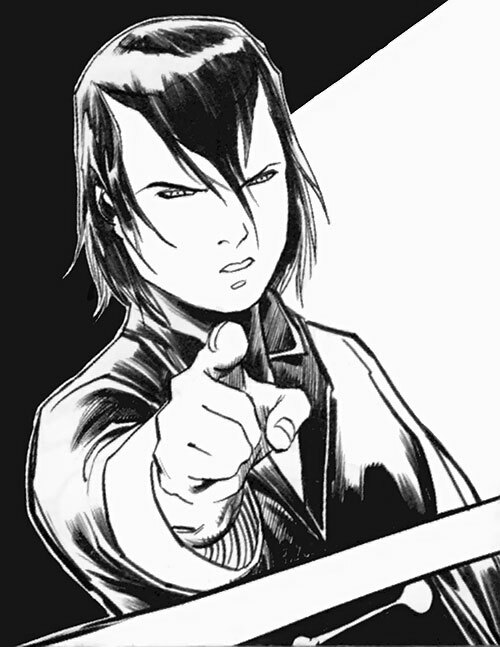 Trese made a “guest appearance” in the comic book, Skyworld, which also draws heavily on Filipino mythology. In it, demonic Aswang take over the Philippines like a conquering army. 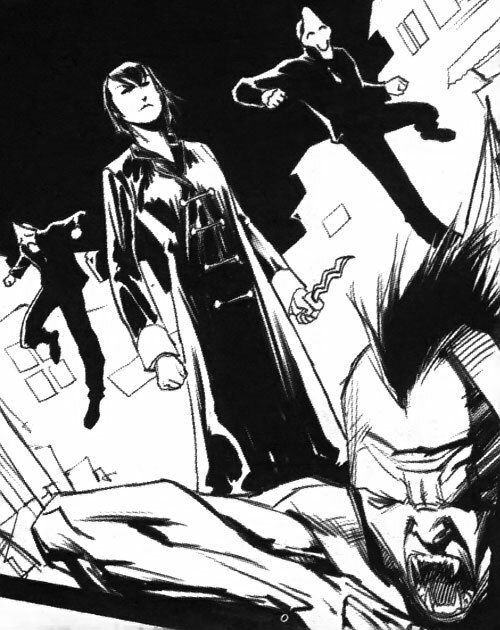 Trese leads the resistance against the Aswang oppressors. This is not part of the Trese comic continuity, but is a potential future for Trese. As a flavor note, her rituals have a more traditional feel in this comic. For example, when summoning a fire elemental, instead of using her cell phone she uses a rosary with a feather and the elemental resembles a Phoenix (possibly an Adarna bird). Symbology is the mystical art of tapping the power stored within cultural icons and imagery for use in their magic. As people view symbols repeatedly each day, and place psychic energy into the meaning of that symbol, the mystical power builds up. Whether they are ancient runes of power or the marketing logos of modern consumer culture, a symbologist has studied the signs of their own culture. The mystic is practiced in the ways of tapping that power and directing it for great effect. 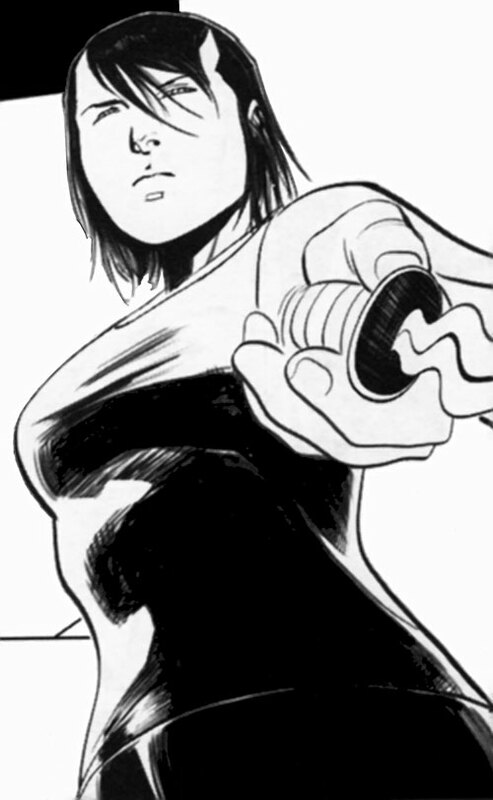 Approved Powers — Regeneration, Broadcast Empathy, Adrenaline Surge, Precognition, Skin Armor, Magic Field, Lightning. Trese writeup updated on January 11th, 2013.